As I'm writing this, the sun is setting and I'm marveling at just how beautiful it is. Admittedly, Californians haven't endured much of a Winter this year. In fact, our state is actually experiencing a drought. Temps have been in the 70's for the majority of the past few months, and the wineries by our house look more like a barren desert. However, a storm is coming tomorrow, and I for one am excited to get some much needed rain (and some coat time in). There are two times per year where I get really excited about shopping - Spring and Fall. With Spring officially around the corner, I'm dying to get a few key pieces that will carry me into Summer. Think pastels, brights, and lighter neutrals! Light and bright will be my motto. I'm crazy for colorful flowers, and I buy fresh blooms about twice per month for our condo. Denim jackets are on my list, as I've been wanting one to wear over little dresses for ages now! I believe I first blogged about these back at the beginning of Fall, and I'm finally pulling the trigger. Soon. Floral is always major. I think a blazer or denim jacket would be the perfect topper over this dress. 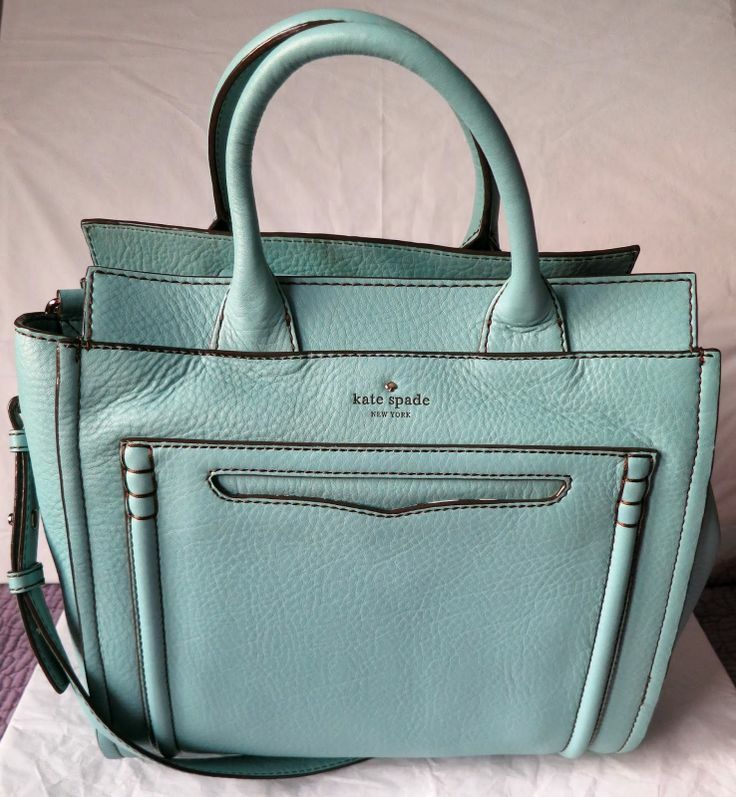 I pinned this Kate Spade not only because it's gorgeous, but also to remind myself that my next bag will be in a pastel! Minty blue, powder blue, and blush are my favorites. 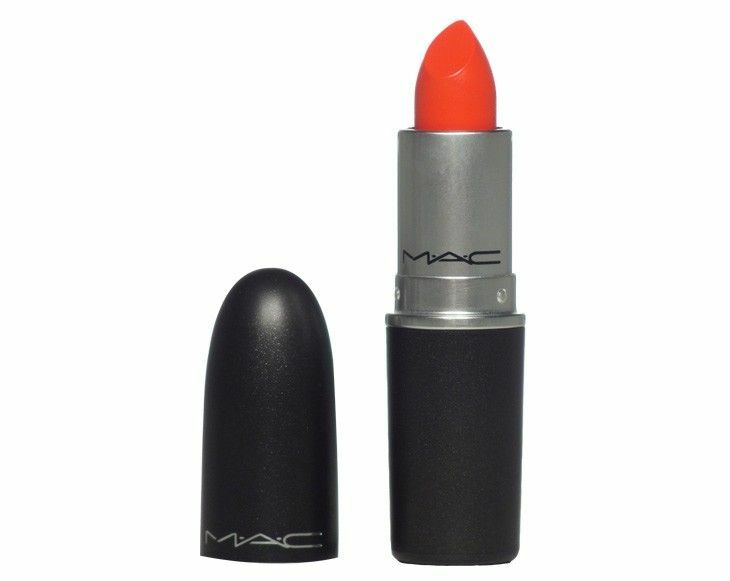 I'm all about orange lips. Yes it looks scary, but there's always a way to sheer a bold lip color out so that it looks more natural. 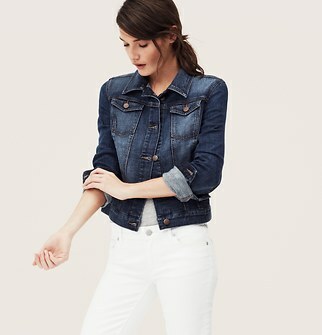 Love that light colored denim jacket! So fresh and fun for spring!! Thank you! I tried one on yesterday and it didn't work though :( I'm going to keep looking! I know, I can't believe I don't own a denim jacket already! Kind of crazy for someone who loves classic basics. The floral dress is so pretty. Its perfect for summer. Love it! Living in Chicago, it's difficult to believe there's a place in the world where it's in the 70s and a shortage of precipitation. I love that floral dress. So pretty. 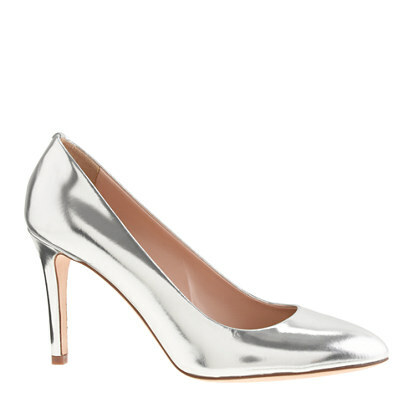 And, you have to get those silver pumps. So fun! Oh I know, I feel bad complaining about living where it never gets cold when most of the country has experienced a brutal winter! Love those Jcrew pumps and kate spade bag! I have that same MAC lipstick and waiting for tan skin to see if I can pull it off! Oooh, can't wait for you to get the metallic heels! They're beautiful! And I hope you get the perfect minty bag! These are all great picks - I really need to think about my spring wish list! I keep telling myself Spring will be here soon but we had some more snow yesterday *sigh* Love that bag! It's perfect for the upcoming season indeed. I'm ready for Spring too! But I'd like to skip summer if possible. No matter how cold it gets, 120 degrees will never appeal to me. lol.